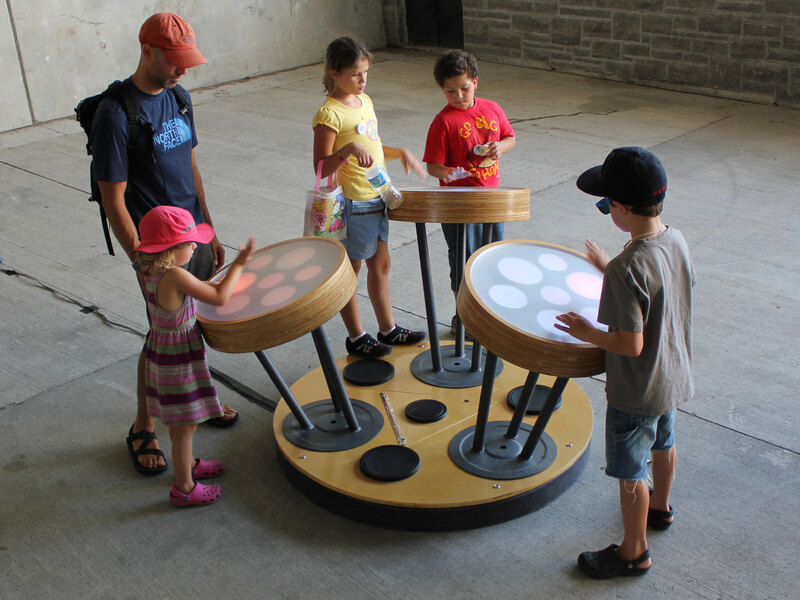 Light Loops is an interactive music and light instrument inspired by the Caribbean steelpan. 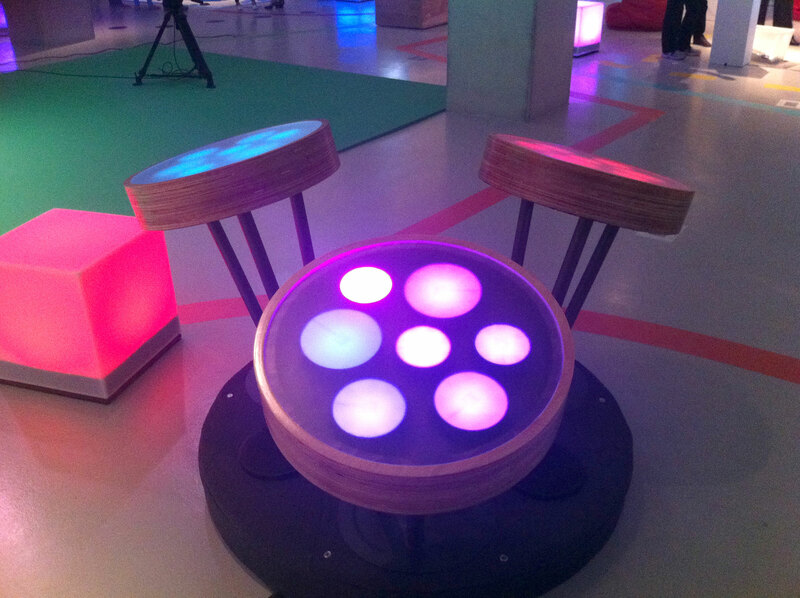 The ‘drum’ surface contains eight touch-sensitive circles, each representing a musical note in an arpeggio. Touching one circle will play the note back once, and holding down multiple circles will trigger a loop playback. Designed to be used by multiple people, Light Loops encourages friends and strangers to create music together. 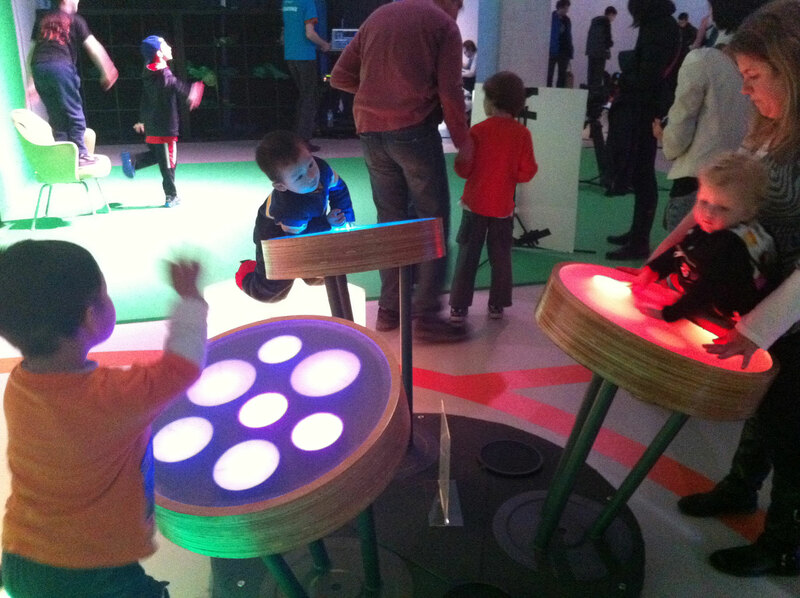 Light Loops was designed and fabricated by Aesthetec for the TIFF Kids digiPlaySpace in 2012. It is available for long-term rental or reproduction license. Contact us for more details.